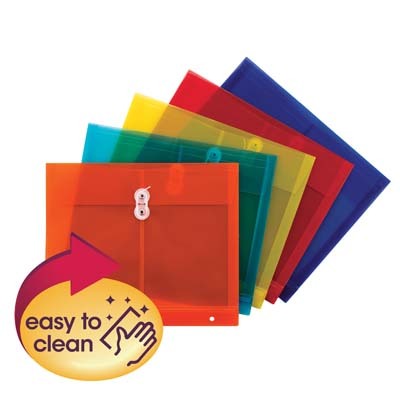 Tough and acid free, these colorful envelopes feature 1-1/4" gussets, big enough to hold over 200 sheets of paper. String-tie closure secures contents. Durable poly material is tear and water resistant.